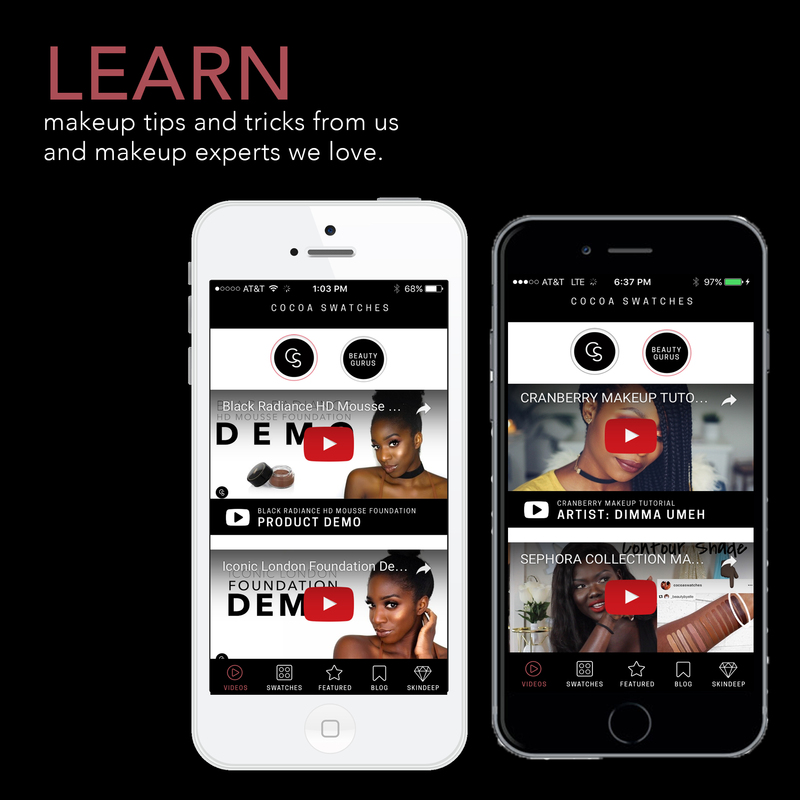 “In 2015, walking into a drugstore to find makeup is still torture for a black girl with dark skin. There is normally only one or two shades of foundation that are remotely close to your shade and most of the time it is stillll a touch too light, unless you are lucky enough to live near a store that carries brands like Cover Queen, Black Opal, or Black Radiance. But those brands can be a struggle to track down and if you don’t have them in your local store, like I didn’t, you might not even realize they exist. 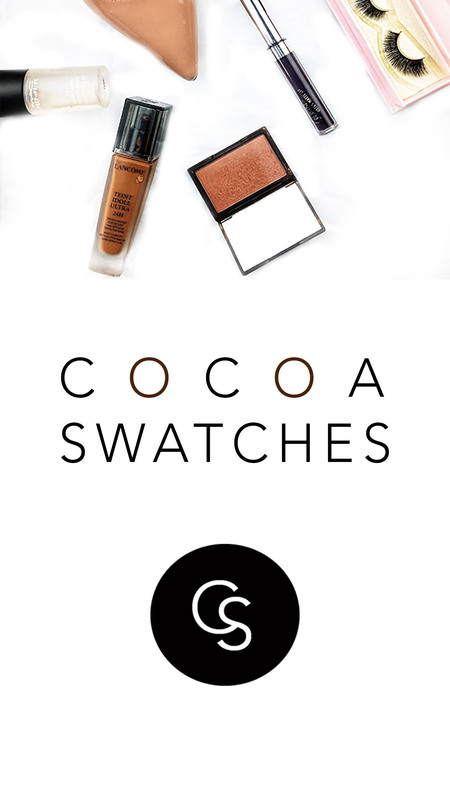 I wrote this two years ago on when I started adding beauty content to my blog – before the idea of Cocoa Swatches was even conceived. Most of what I wrote then, still rings true now and I am still looking for ways to help and empower those going through similar experiences. That is what my latest campaign for Cocoa Swatches is all about. Color Consciously – because beauty isn’t one size fits all. Beauty should be fun for everyone. Check out more info on this campaign here and in the video below. Its currently 3:26 am and I’m writing this on my laptop while watching my favorite episodes of The Office on Netflix. If someone told me that this was truly the life of an entrepreneur, I’m not quite sure I would have believed them. I still struggle with the term “entrepreneur,” because it doesn’t sound like an accurate word to describe me. Like really, sitting on my computer all day trying to make nothin outta something is entrepreneurship …interesting. I’m back on my blog today to talk about my all consuming project and brand; My love, my friend, (and sometimes my foe😩) — Cocoa Swatches. As someone who became an “accidental entrepreneur,” the struggle to push myself to stay in this lifestyle is real. Let me paint a picture real quick. At the end of 2016, my dream, the Cocoa Swatches app was in serious jeopardy. Like for real, I was devastated. I was scrambling, trying to find a way to stay in the game without letting anyone see me sweat, of course. My 1 month plan of revival, soon turned into a 3 month plan, and eventually became a 5 month plan. But, somehow, some way, with the support of family and friends, I made it through. But I am also here to keep it real. It took multiple days of pushing through feeling like my work wasn’t good enough or didn’t matter. It took periods of time where I just had to take several mental breaks and allow myself not to feel guilty about them. It took me not falling into the trap of comparing myself what what I saw from others on social media. It took me trusting the process and being patient with myself, and others. 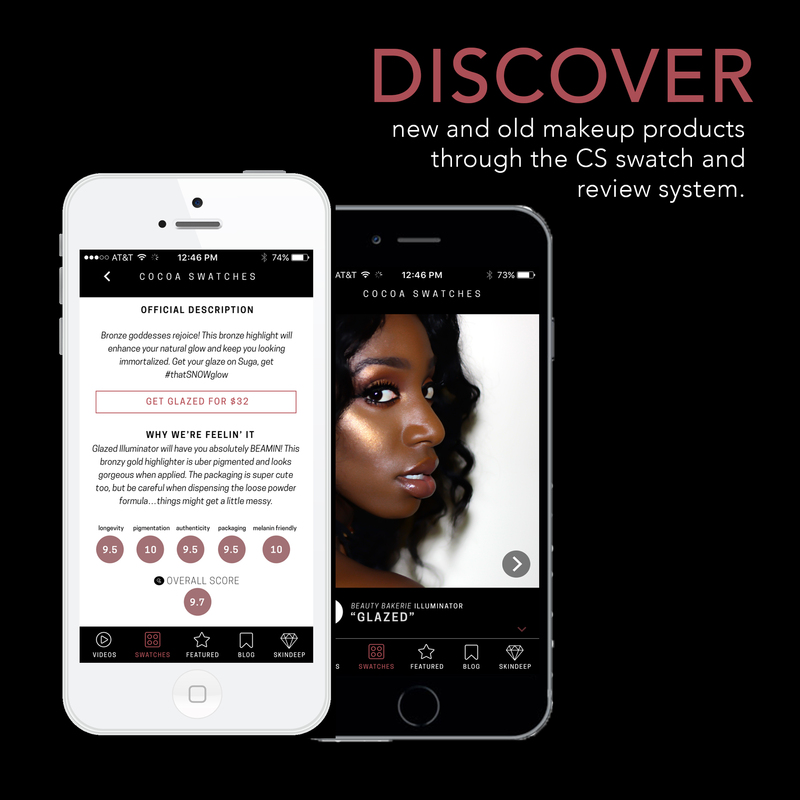 With that being said, I can’t really express how excited and relieved I am that the Cocoa Swatches app is finally back in the app store! An entrepreneur’s work is never done, but I’m happy to have completed this huge step. With the growing and fast moving digital climate, I believe its imperative for creatives, especially black creatives, to create and own their content and platforms when possible. That means creating your clothing brands, websites, co working spaces, etc. etc. We all know the annoying, frustrating feelings that come when something like Instagram or Twitter is down– platforms that seriously make many people’s bread and butter. Having a platform that I can call all my own mitigates some of that panic. 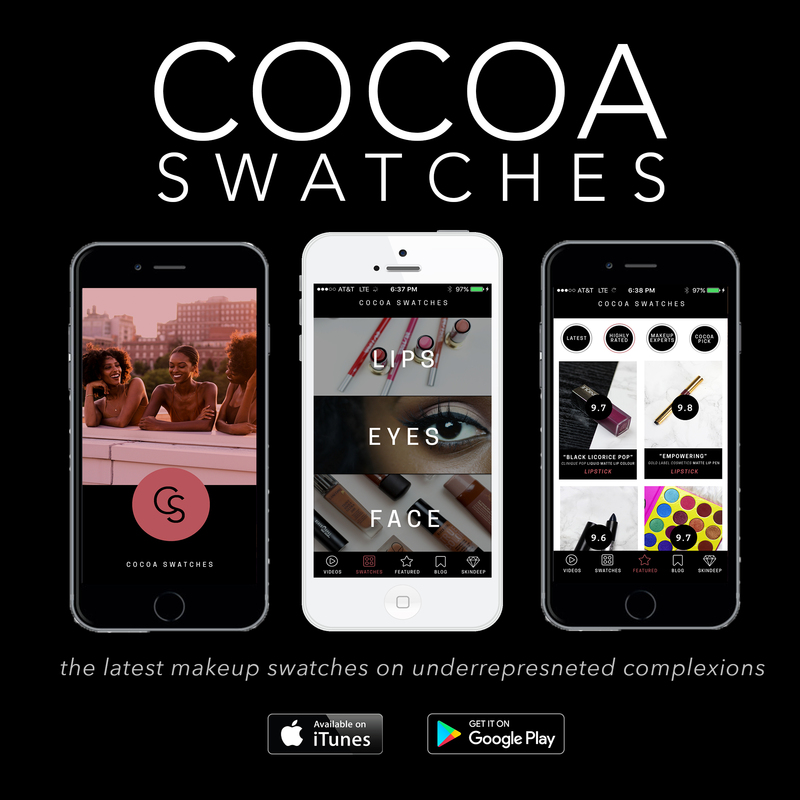 I truly believe Cocoa Swatches as an app and a growing conglomerate is a game changer and I hope that it continues to grow and flourish in a way that circles back to my initial goal: helping little brown girls like me feel empowered in their makeup journey; to avoid the embarrassment of having to ask the advice of an MUA not well versed in the world of melanin, who will have you walking around looking like a clown; to save the tons of $ wasted on trying to find a foundation that doesn’t make you like oily, ashy, or gray; to help find the products needed to actually have fun with makeup, the way it was meant to be. I hope and pray the Cocoa Swatches app does just that. 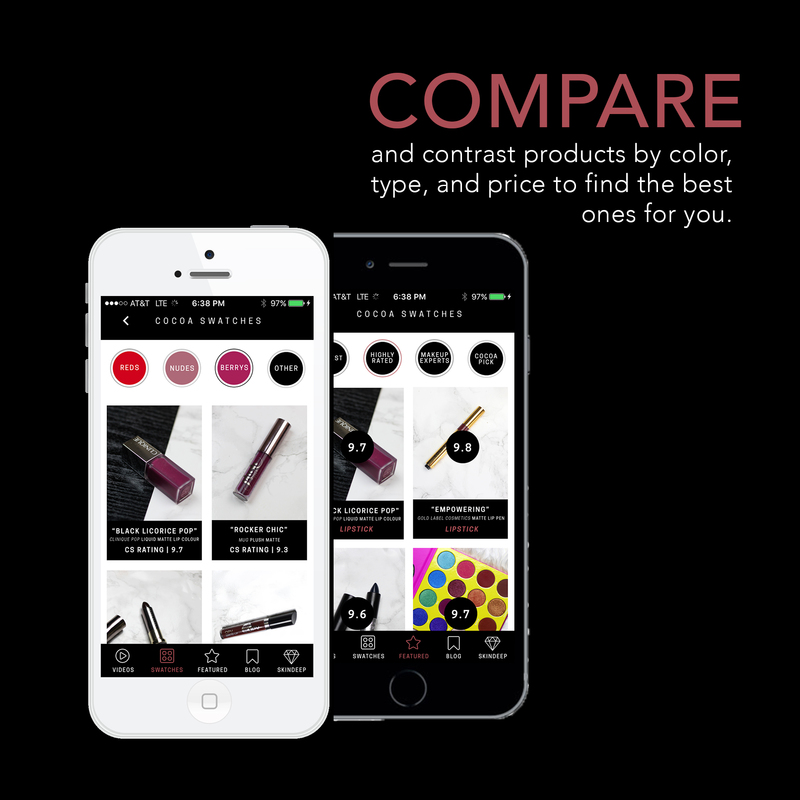 The new app has a totally new look and feel! Check out deets below. Feel free to DL on both Android and iPhone devices. I will try to write on here more often. I want to get back into style blogging while also discussing some of personal experiences in fashion and beauty so, watch this space! !